Ciena today announced significant new additions to its product and solution portfolio, with the unveiling of a trio of innovations that drive significant increases in network capacity and agility. The new additions announced today include: two new members of Ciena’s WaveLogic 3 coherent optical chipset, the WaveLogic 3 Extreme and the WaveLogic 3 Nano; the introduction of Coherent Select, a completely new 100G photonic architecture that uses the intelligence of coherent optics to bring simplicity, flexibility and economy to the network edge; and the addition of the new 3904 and 3905 Service Delivery Switches to Ciena’s packet portfolio, tailored to the needs of small cell mobile backhaul. These new additions embrace the new web-scale dynamic that is significantly changing the evolution of today’s network architectures, driven by the growing adoption of cloud computing, network virtualization and openness. Click through to the blog post for more on today's new product and solution announcements. 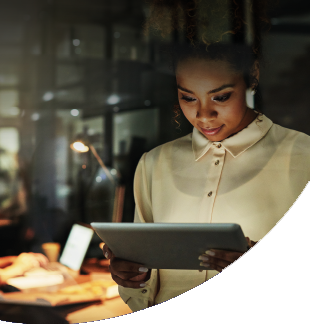 Ciena today announced significant new additions to its product and solution portfolio, with the unveiling of a trio of innovations that drive significant increases in network capacity and agility. These new additions embrace the new web-scale dynamic that is significantly changing the evolution of today’s network architectures, driven by the growing adoption of cloud computing, network virtualization and openness. 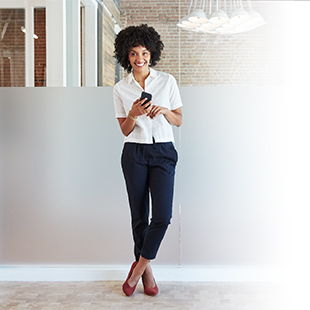 On March 11th, Ciena will host a webinar to detail these innovations. Leading off today’s news is the unveiling of two new Ciena WaveLogic 3 coherent optical chipsets, the WaveLogic 3 Extreme and WaveLogic 3 Nano. While both are targeted at the massive bandwidth requirements of web-scale networks, they are uniquely tailored to address specific top-of-mind concerns within the network. The new WaveLogic 3 Extreme coherent optical chipset incorporates four programmable coherent modulation formats to support all types of extreme performance requirements. In addition to the widely deployed QPSK and BPSK formats supported by WaveLogic 3, the new WaveLogic 3 Extreme chipset supports a second generation 16QAM coherent modulation for high-bandwidth metro/regional applications and a new patent-pending 8D-2QAM modulation for extreme long distance submarine applications. 16QAM enables network operators to transmit 200G wavelengths in the same amount of spectrum as today’s 100G links (50GHz). A unique aspect of Ciena’s WaveLogic 3 Extreme chipset is its ability to extend 16QAM capacity and spectral efficiency benefits from metro to regional distances, a growing need for data center interconnect. For ultra-long haul submarine deployments, the new 8D-2QAM modulation format enables enhanced100G performance. When combined with flexible grid technology, capacity increases of 85% have been realized on trans-Pacific links when compared to today’s BPSK modulation format. WaveLogic 3 Extreme is available today, and has already been deployed in a regional scenario with Verizon (see Verizon Deploys 200G Technology on Section of its Ultra-Long-Haul Network) and in multiple submarine scenarios announced last month (see PTC’15: Ciena’s newest 100G tech further extends submarine capacities, distances). WaveLogic 3 Nano, Ciena’s second new coherent chipset, represents the next progression of our WaveLogic 3 technology for metro and data center applications. WaveLogic 3 Nano was designed to solve the 100G metro density challenge: reducing the footprint and power consumption of the coherent 100G design to fine-tune it for high-density metro deployments. That means shrinking the electro-optics to enable lower power consumption, taking advantage of new ASIC integration technologies, and tailoring the chipset’s chromatic dispersion compensation characteristics for metro distances – all designed to create a 100G coherent solution that is custom tailored for metro economics. The new WaveLogic 3 Nano chipset is being implemented across Ciena’s portfolio of converged packet-optical and packet networking products. As operators look to evolve their 10G access and metro networks to 100G, they are also considering how to transform their architecture to add the flexibility required by a software-defined world, but do so with more focused metro economics. 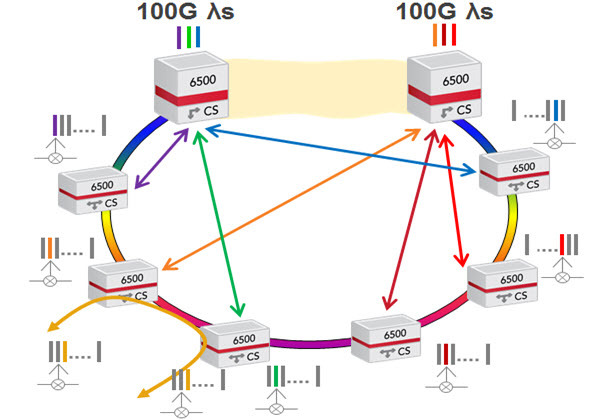 Network operators generally have only two photonic architecture options in today’s world. They can use passive fixed optical filters that are simple and low-cost, but lack automation and are very inflexible. Or they can deploy a ROADM architecture that offers full mesh flexibility and remote configurability, but comes with a sometimes prohibitive cost for wide-scale deployment, especially in access and metro scenarios. That’s where Ciena’s new Coherent Select architecture comes in, offering a third deployment option for a web-scale world. Coherent Select takes advantage of the embedded intelligence of Ciena’s WaveLogic coherent optics to greatly simplify and de-cost high-capacity access and aggregation networks while still giving them the agility and responsiveness required in today’s software-driven world. Coherent Select consists of a wavelength broadcast and select architecture which leverages WaveLogic coherent receivers to tune to the frequency (wavelength) of interest. It also retains much of the operational benefits associated with ROADMs, including automatic real-time power balancing, full photonic topology visualization, and remote wavelength reconfiguration with colorless, directionless and flexible grid capabilities (see Coherent Select architecture diagram below). 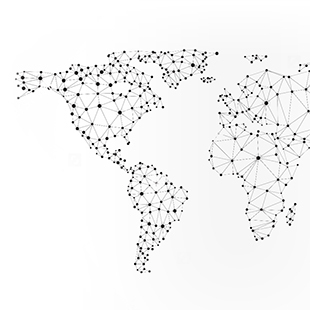 The web-scale world means massive mobile consumption, as it is increasingly the method of choice for accessing content residing in web-scale data centers. With peak mobile bandwidth set to increase fivefold over the next three years, mobile networks are under immense pressure to add capacity and improve coverage. Small cells are part of the solution, with some estimates that over 700,000 small cells will be deployed worldwide within the next few years. To that end, Ciena today expanded its Packet Portfolio with the additions of the 3904 and 3905 Service Delivery Switches, tailored specifically for both indoor and outdoor small cell mobile backhaul. The 3905 is an environmentally hardened Ethernet platform for that can be deployed in a variety of mounting options. 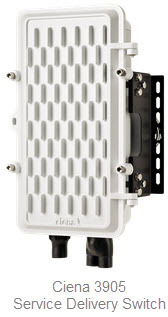 The 3905, as well as its indoor variant 3904, is purpose-built to provide next-gen Gigabit Ethernet (GbE) connectivity from the small cell to the macro tower or Mobile Telephone Switching Office (MTSO). Features for the pair of new devices include an advanced Ethernet control plane, sophisticated VLAN encapsulation and tagging, hierarchical QoS for strict SLAs, carrier-grade Ethernet OAM capabilities, flexible power options including Power over Ethernet Plus, WiFi console port, automated and error-free Zero Touch Provisioning, and MEF Carrier Ethernet 2.0 compliance. With so much unveiled today, it’s clear that we’ll need more than one blog post to cover it all. Over the next few weeks we’ll have a series of blog posts that delve into the individual details of each part of the news. And below we’ve linked to a variety of additional materials so that you can dig deeper into the specifics.